"It's football, it's life," said Mahrez, who was making just his third Premier League start since his £60million summer switch to City. "It won't affect me at all. Everyone misses penalties, even big, big players. Of course I wanted to score to help the team to win." He said: "It is part of football, you have to go forward and stay strong. Sometimes you score, sometimes you miss. But the most important thing is the performance was very good." The 21-year-old said: "Obviously I'm not happy. As Riyad, I've been practising (penalties). I would like to have taken it, I was confident, so I was not happy that they did not allow me. "However, it was important that we didn't lose. Pep spoke with me. This is part of football, sometimes these things happen. I will support Riyad if the manager chooses him again." 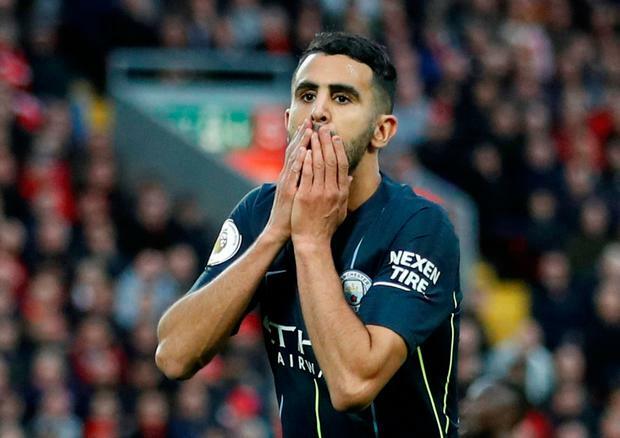 Mahrez said: "We were very strong defensively. It showed we can do both - have the ball and be very strong as well. "It showed we are not just a team that wants to play and leaves big spaces, but we are a team who want to be strong defensively. It's a good draw and we deserved to win."